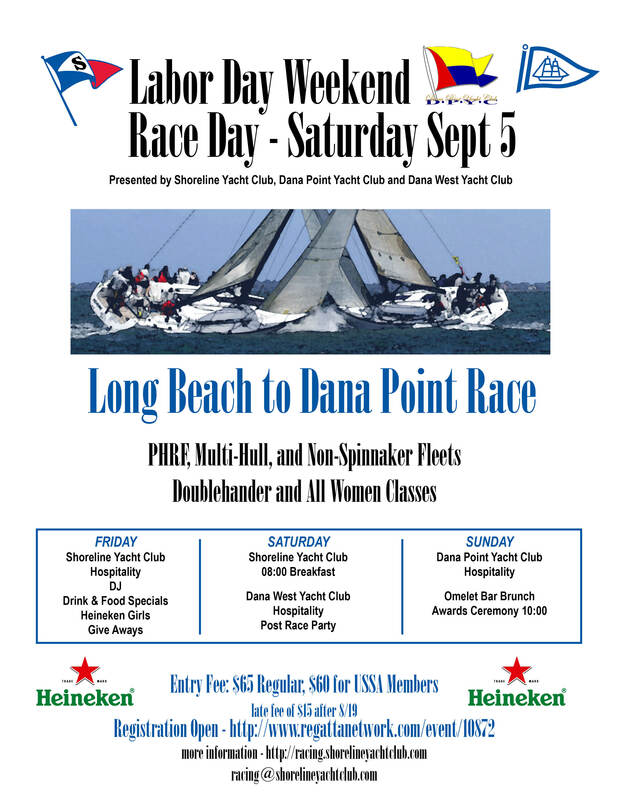 Friday: Pre-race party no-host bar with dinner available at Shoreline Yacht Club (SYC). Saturday morning: Racer’s breakfast buffet at Shoreline Yacht Club (SYC). Saturday evening: Post-race party at Dana West Yacht Club (DWYC). Sunday morning: Awards Ceremony at Dana Point Yacht Club (DPYC).